Craig Roberts has done it all...and written about it! As an investigative journalist, his background includes four years in the United States Marine Corps as a rifleman and sniper, with one year of that in Vietnam (1965-66). 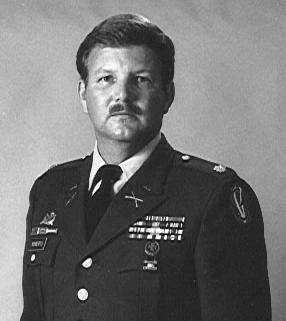 He is a retired Tulsa, Oklahoma police officer, having served as a patrol officer, investigator, TAC (Swat) team member, bomb tech, and helicopter pilot. During this time he had a parallel career in the military, serving in the Army Reserve as an infantry officer and intelligence officer. He retired in 2000 as a lieutenant colonel. Craig is the author of over a dozen books, which include "The Walking Dead: A Marine's Story of Vietnam," "One Shot--One Kill: America's Combat Snipers," "Combat Medic--Vietnam," "Police Sniper," "Hellhound," "Kill Zone: A Sniper Looks at Dealey Plaza," "The Medusa File: Crimes and Coverups of the U.S. Government," and "JFK: The Dead Witnesses. These are the books that his New York City publishers did NOT want you to see! By reading both "The Medusa File" and "Kill Zone," the reader will have the book that New York refused to publish ("Legacy of Dishonor"). These books combine to take you from the 1700s to today, exposing the power behind the throne of government. Then, in a series of case files, read about the real stories behind such topics as Japanese Devil Unit 731, who experimented on American POWs with germ weapons; Operation Paperclip; MK-ULTRA Mind Control experiments; who the CIA really works for; Atomic Guinea Pigs; political assassinations and who is behind them; Terrorism in the USA and abroad; Pan Am 103: TWA 800 shootdown; KAL 007 shootdown; The Oklahoma City bombing and the Arab Terrorist connections to Osama bin Laden; the World Trade center bombing; and the Sunset Limited Amtrack derailment in Arizona. It's all here...including the biowarfare threat to the American People that resides in terrorist cells all over America. 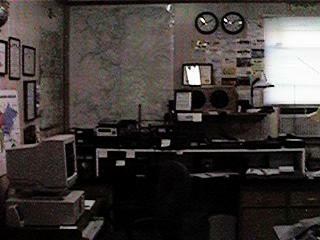 Consolidated Press's world-wide commo room. Site inludes HF, VHF, UHF, and Internet service. Craig is also a HAM operator (KD5JQH) and a Military Affiliate Radio station (Navy-Marine Corps MARS) NNN0KQR. Our commo site has three radio towers, including diplole, beam, discone, Yagi and portable/emergency radio commo gear and antennas. We STAY in tune with the world!